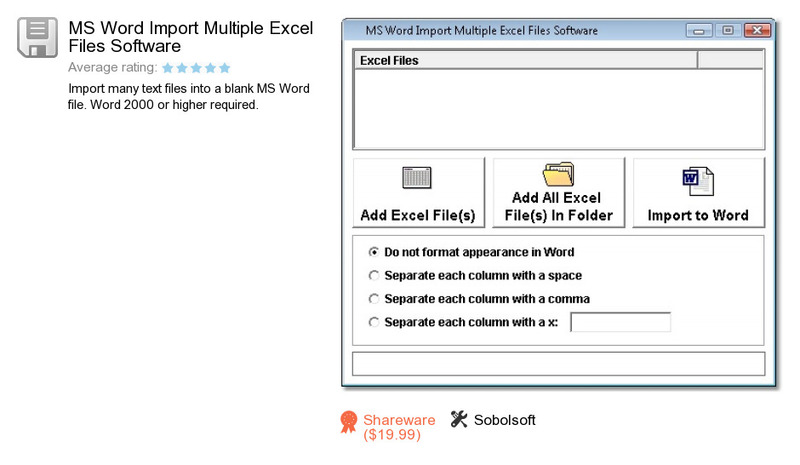 MS Word Import Multiple Excel Files Software is a software program developed by Sobolsoft. We know of version 7.0. Version 7.0 is downloadable at our site. MS Word Import Multiple Excel Files Software installation file has a size of 14,826,498 bytes. Sobolsoft also publishes MySQL IBM DB2 Import, Export & Convert Software and MP3 File Size (Bitrate) Reduce Software.